Donald Galleck in the courtroom during his initial appearance at the Penobscot Judicial Center in Bangor, Nov. 19, 2018. Galleck was charged with murder for allegedly killing Jason Moody, 40, of Bangor last week. 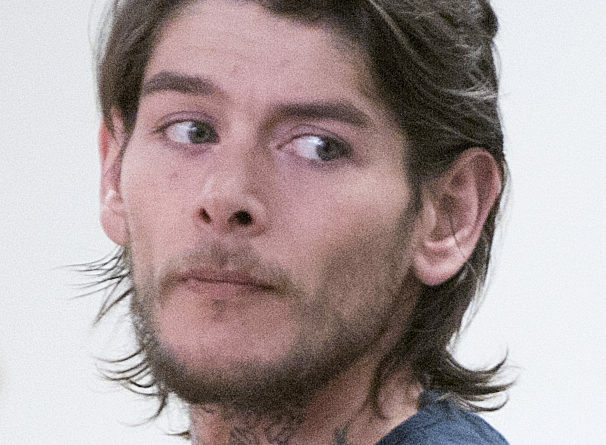 The 29-year-old man charged in the November beating death of 40-year-old Jason Moody pleaded not guilty Tuesday at the Penobscot Judicial Center in Bangor. Donald Galleck of Bangor and Michigan was charged last year with depraved indifference murder and intentional or knowing murder in the death of Moody, who lived in Bangor. On Tuesday, Superior Court Justice Ann Murray set Galleck’s trial for March 2020 at the Penobscot Judicial Center. She also unsealed the affidavit, which was impounded until Galleck’s arraignment Tuesday and should offer more details about the case. The investigation that led to Galleck being charged began Nov. 11 when Moody was found unconscious about 10:40 p.m. when Bangor police responded to a report of an injured man at the intersection of Center and Cumberland streets. Moody was taken to Northern Light Eastern Maine Medical Center, where he succumbed to his injuries the next day. He was remembered by family and friends as a talented musician, a diehard metalhead, and a devoted and caring friend. The Rockland native moved to Bangor in 2013. An autopsy determined the manner of death to be homicide, according to Bangor police. The exact cause of death has not been released. Galleck was arrested Nov. 16 when he allegedly was found hiding in an apartment on Fifth Street in Bangor. He has been held without bail at the Penobscot County Jail since his arrest, which is standard procedure in a murder case. He faces a year in prison if convicted of domestic violence assault and six months in jail if convicted of violating his bail conditions. Galleck is to be tried on those charges on April 5 in Bangor.